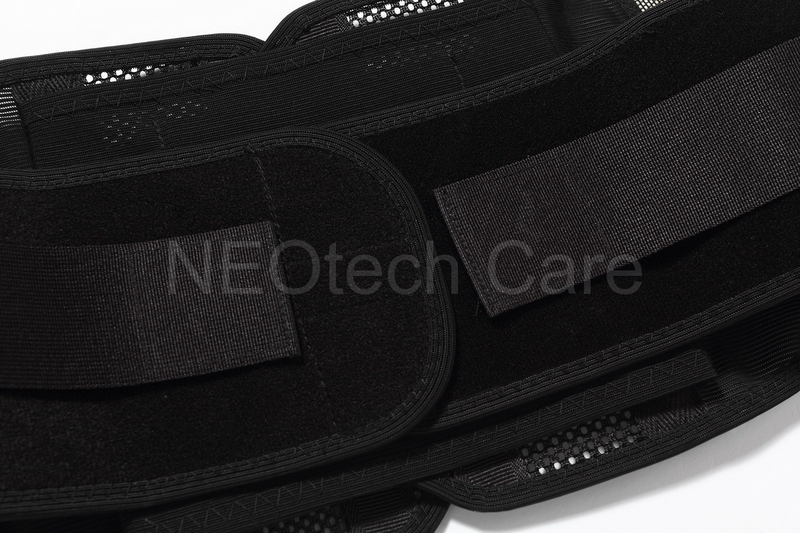 This super thin and highly breathable NEOtech Care (TM) lower back belt for men gives you the wanted support for your back while letting your skin breathe. It is possible to keep this belt for longer periods of time during work outs, exercise and in warmer environments. Available in two colors: black or beige. 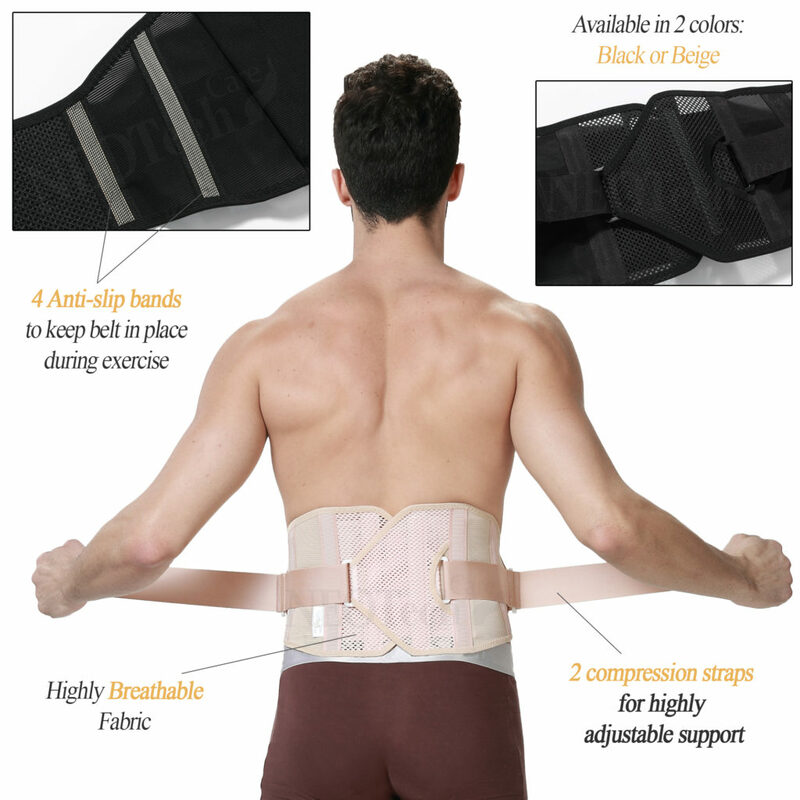 It is made of a deluxe mesh, high-elasticity nylon fabric and also has PP stripes distributed evenly in order to disperse the force the lumbar vertebrae undertake. SATISFACTION GUARANTEED so why not try it! If you do not like it we accept returns and will fully refund you promptly. If you like it please let other online buyers know and write a product review! XL: For belly circumference of 38-42.5" (96-108cm). Height of 20cm (8") for all sizes.